During October candidate attorney Sakeena Lagkar and her personal trainer fiancé Kyle Sawyer secured their wedding date at Hudson’s. 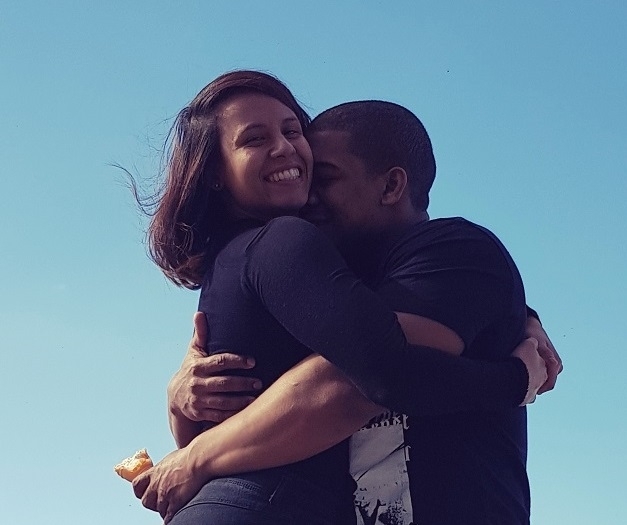 The couple have opted for a winter celebration and are set to wed on 20th July 2019. We asked them to share their story with us. Sakeena: We first saw each other during 2015. I worked out once or twice at the gym where Kyle was working. By 2017 I was training there full time and hired Kyle as my personal trainer. He soon became my best friend. Kyle: My proposal was a surprise on Sakeena’s 24th birthday. On 8th September this year I booked at Mangwanani spa and planned an entire day of pampering for her. At lunch, having told the staff I wanted to wish Sakeena a happy birthday, I went down on one knee instead. Initially we really struggled to find a venue that offered everything we were looking for. However before long Hudson’s had been recommended to us several times! The clincher for us was the effort the staff at Hudson’s goes to. Every email we sent received a speedy response leaving no question unanswered. Firstly discuss your budget so that you know which venues you can consider. Next decide if you want a winter or a summer wedding. Find a venue suitable for the time of year that falls within your price range. Finally, scrutinise the fine print! It’s very important to search for and book your venue at least eight to twelve months in advance. The best places fill up quickly. We can’t wait to see the venue decorated and prepared for us. The thought of sharing this special day with all of the important people in our lives is very exciting. We are delighted to be hosting Sakeena and Kyle’s big day. To get excited about planning your wedding with us get in touch to schedule a viewing.